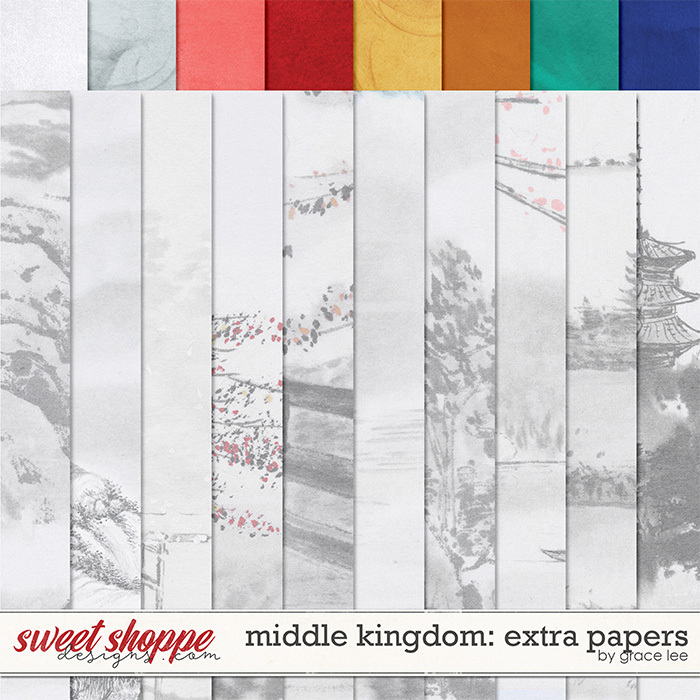 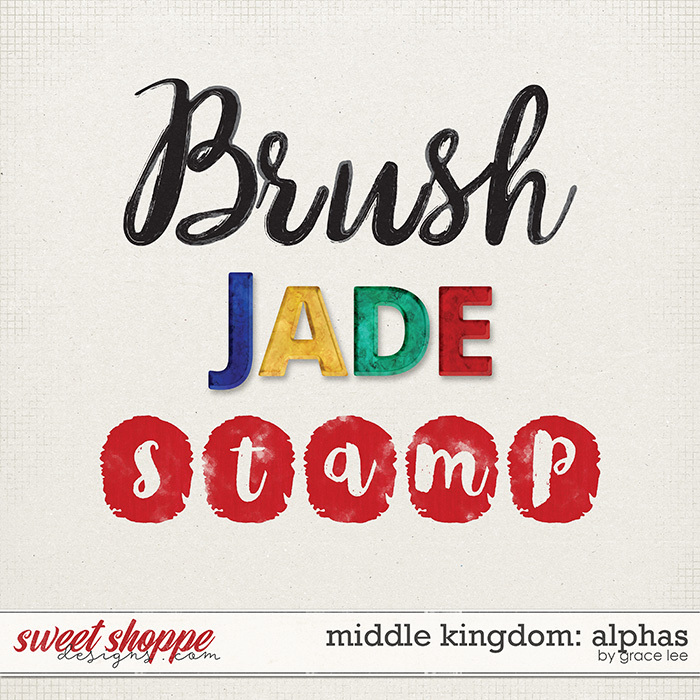 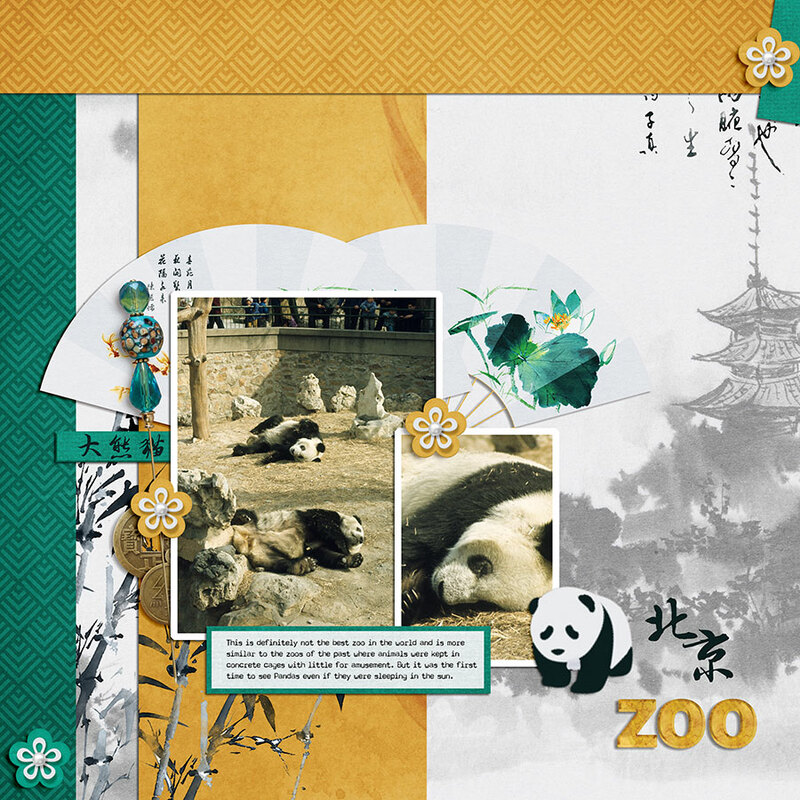 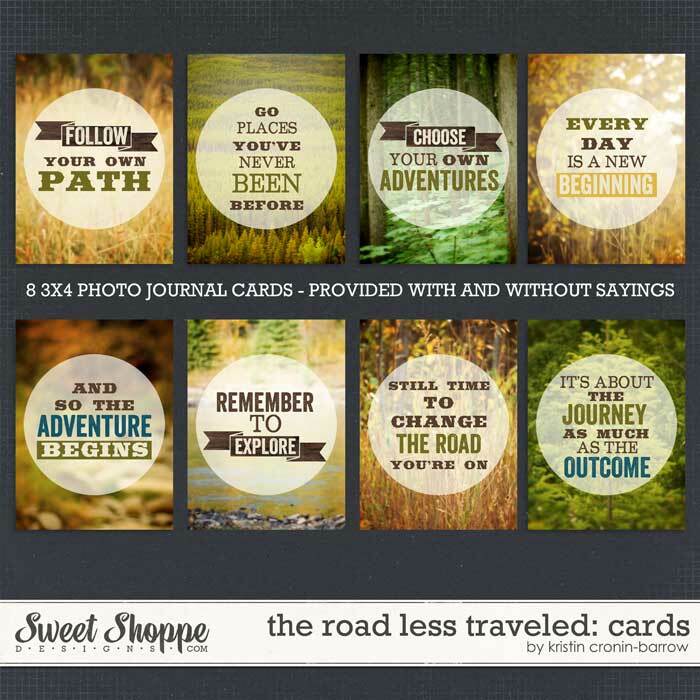 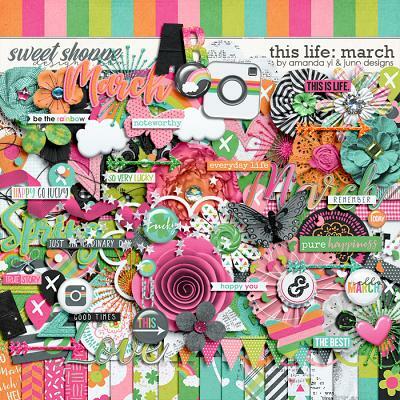 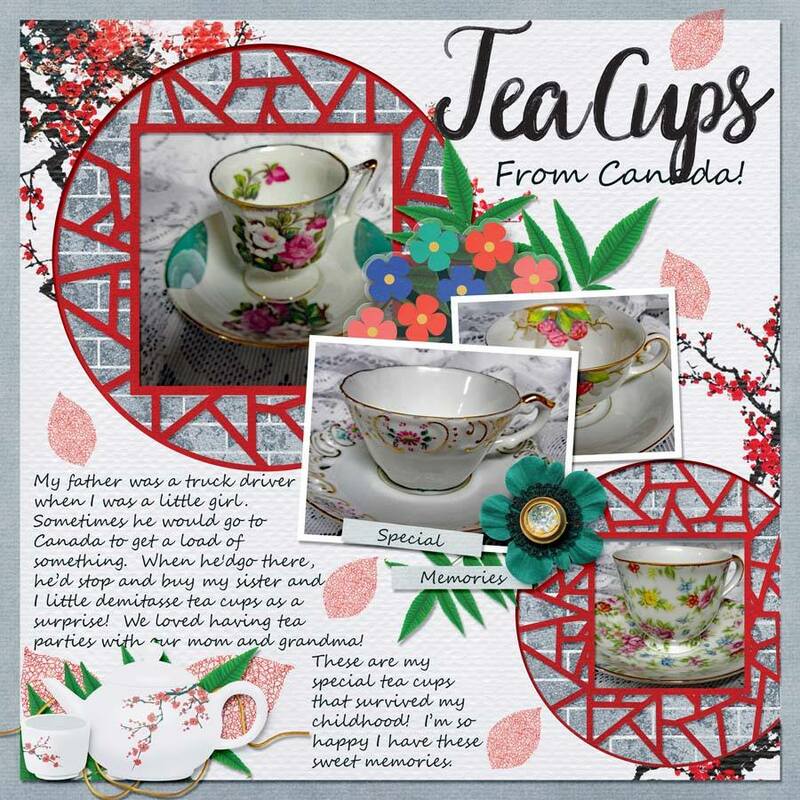 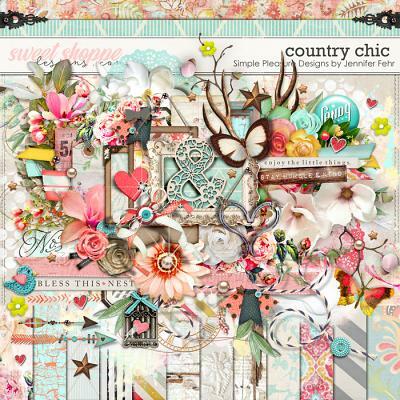 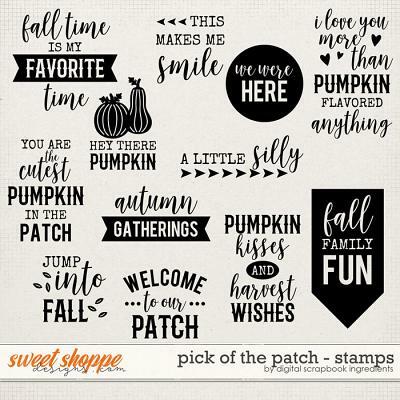 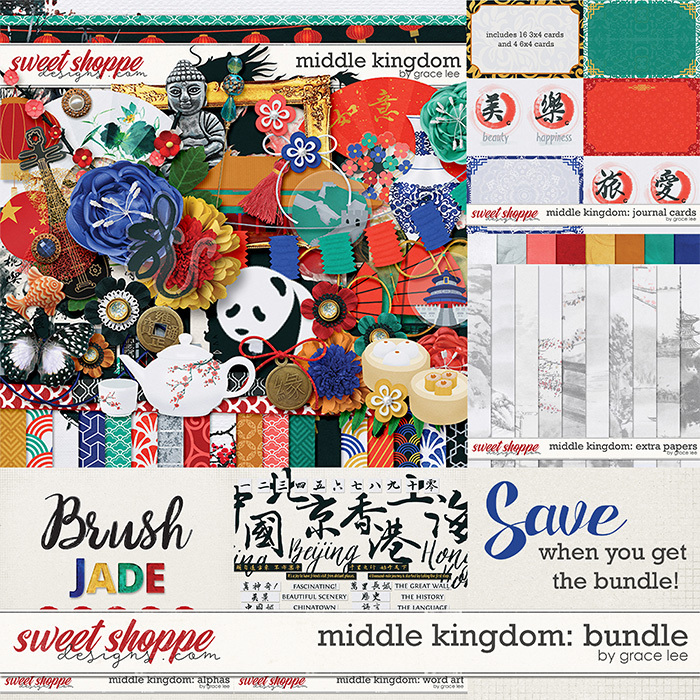 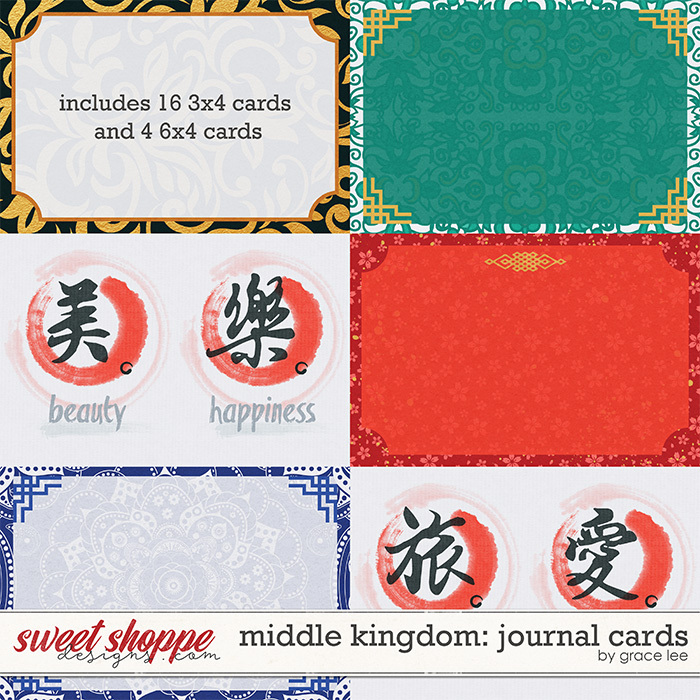 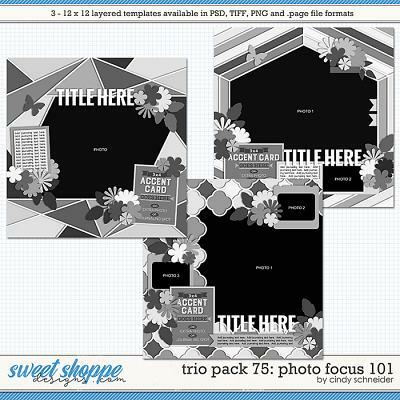 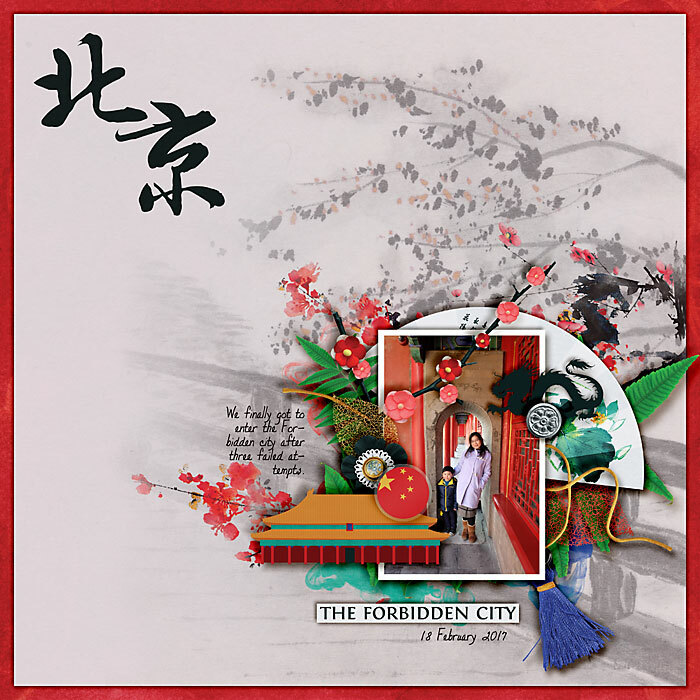 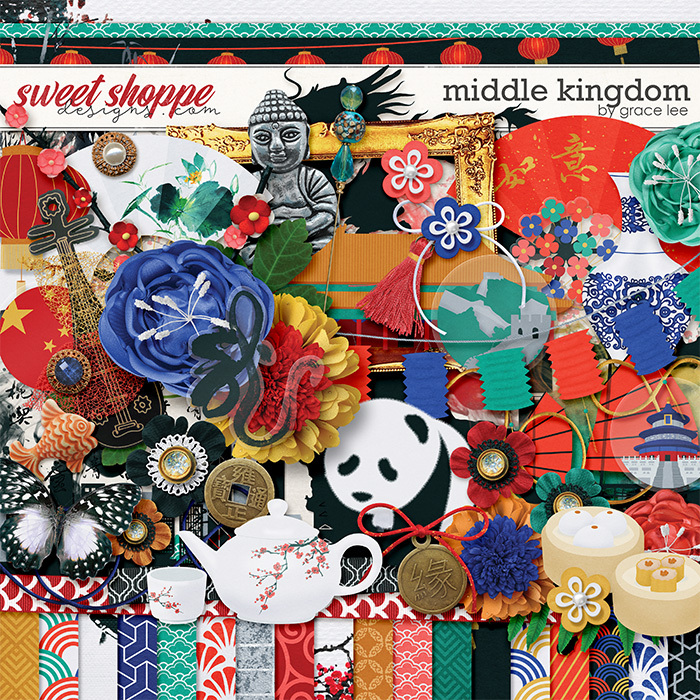 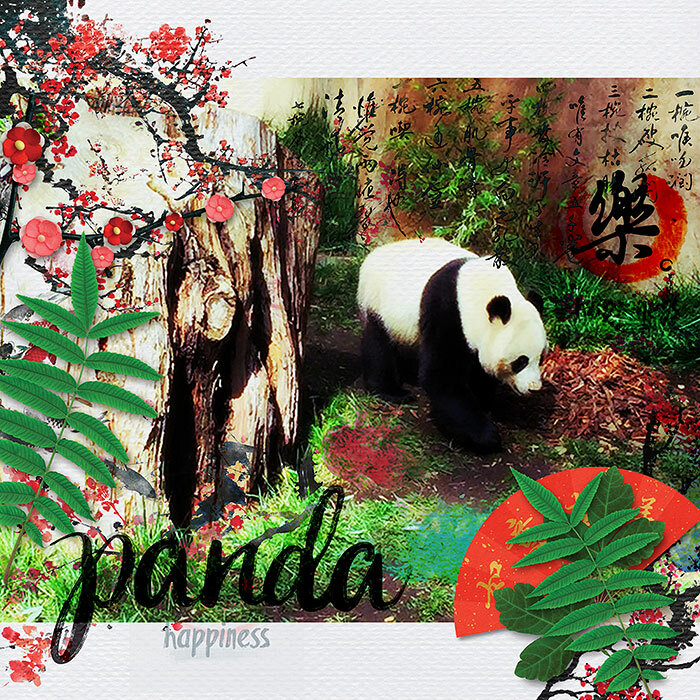 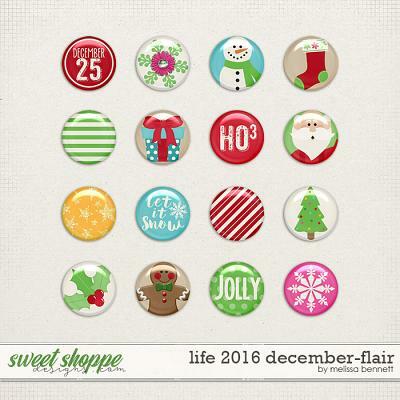 A digital scrapbooking collection by Grace Lee, Middle Kingdom: Bundle is inspire by the beautiful country of China. 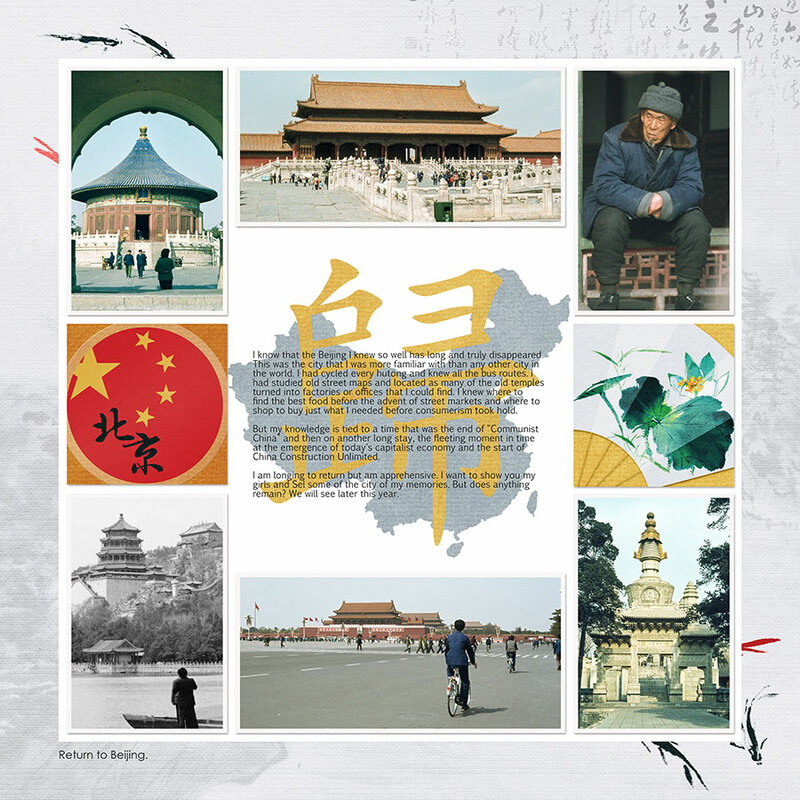 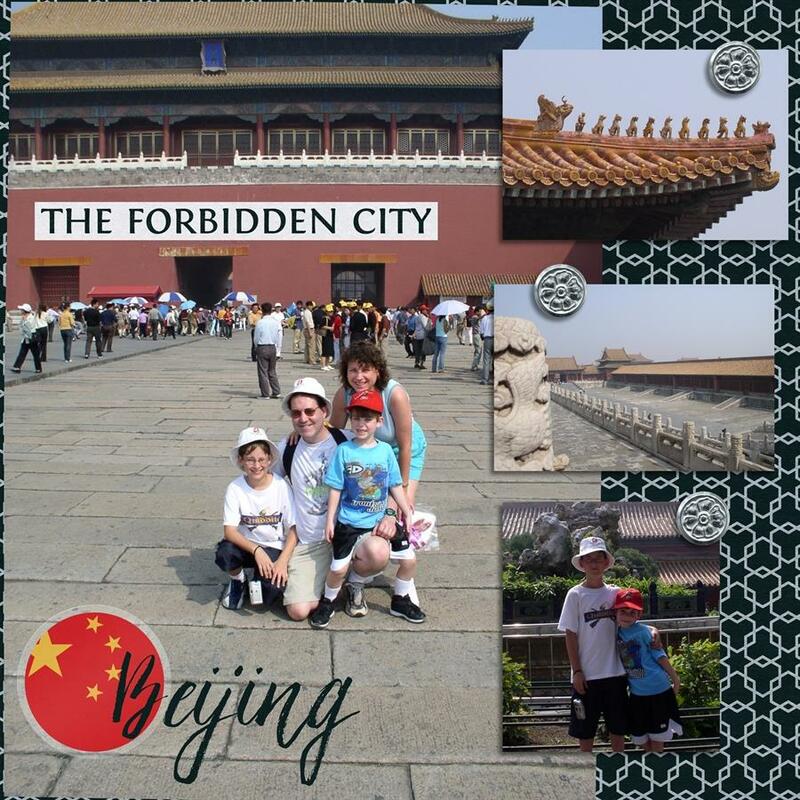 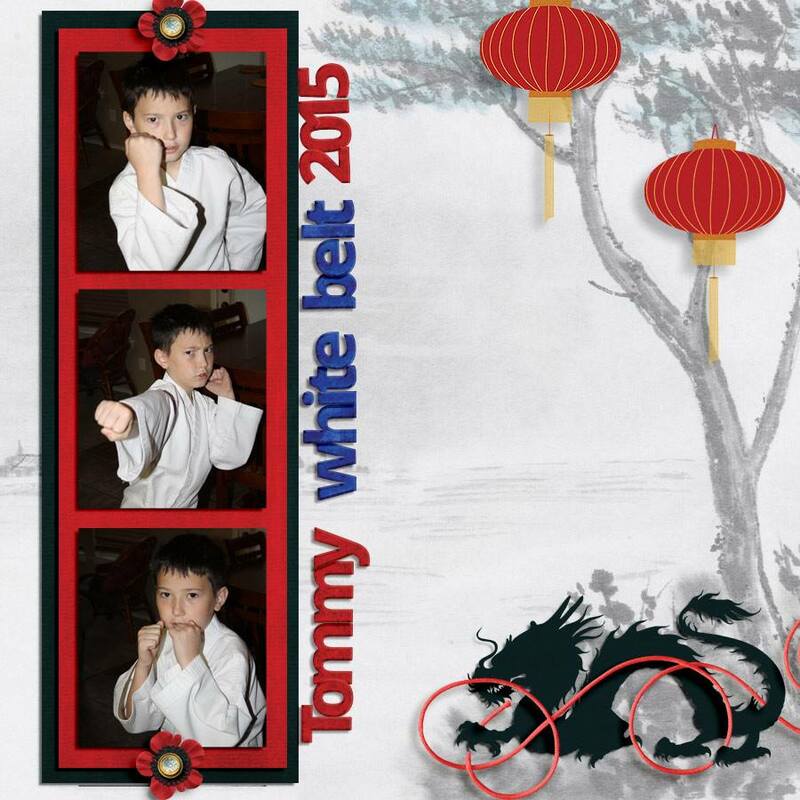 When China is mentioned, some may think of a faraway and exotic land, while some may consider it home. 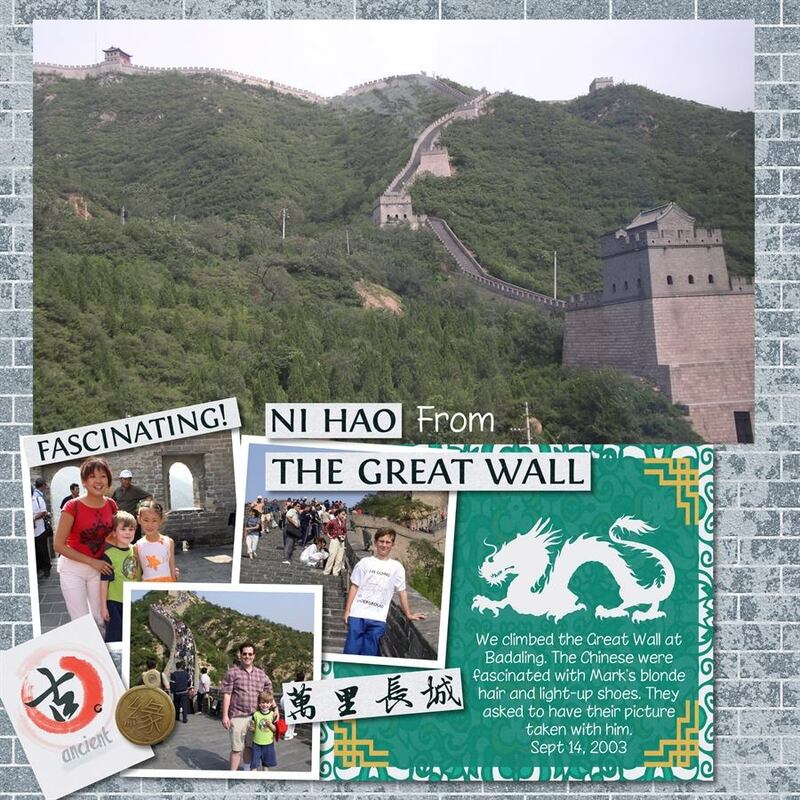 Whichever category one may fall into, it is hard to not be fascinated by its long history and rich cultures. 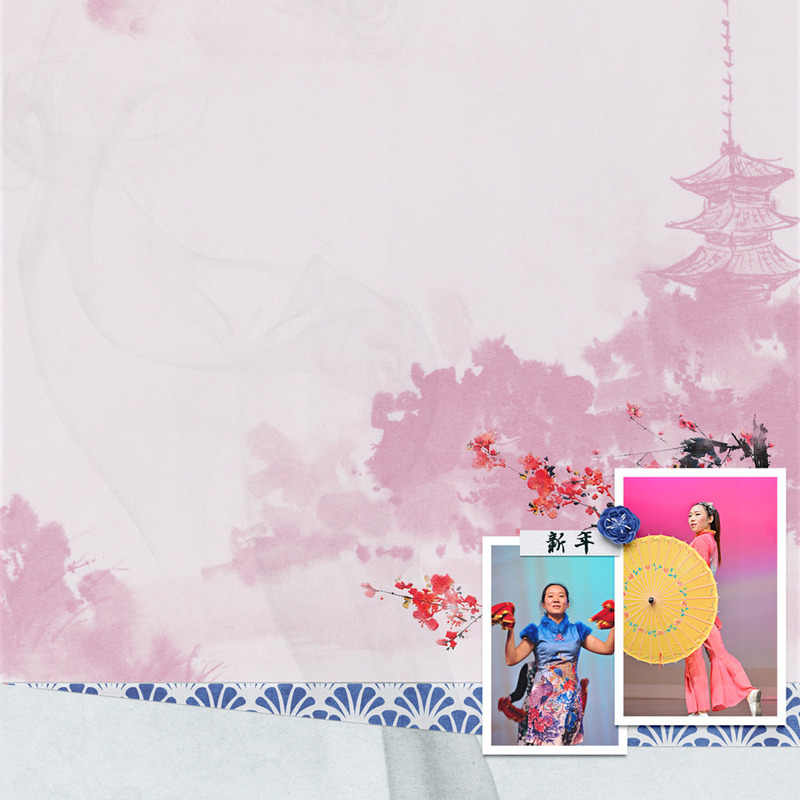 With a gorgeous palette of jewel tones and a selection of distinctly Chinese elements, this kit presents a picture of China that is both traditional and modern. 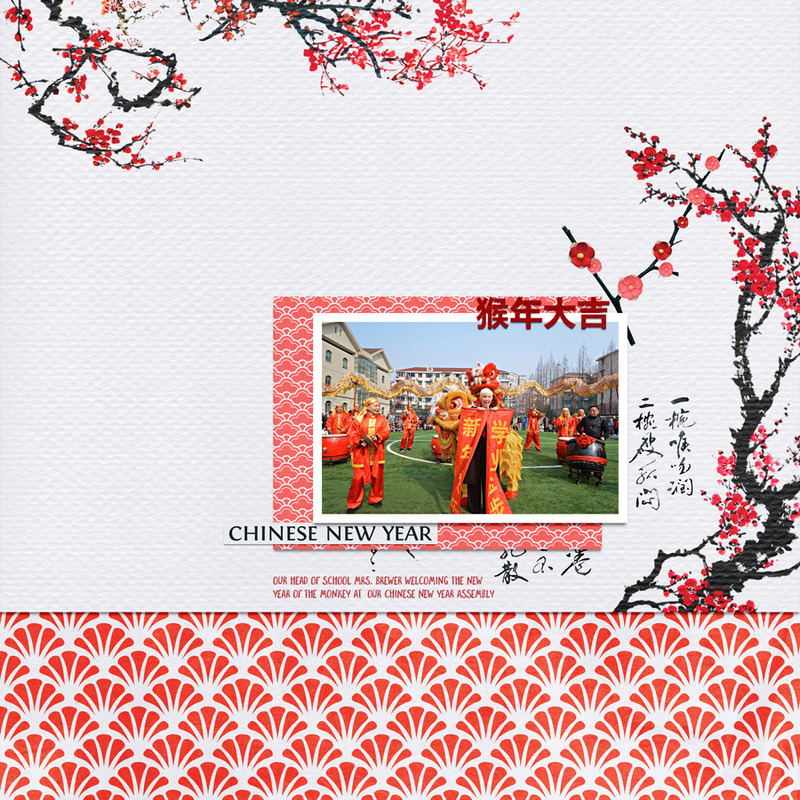 If you're traveling to China, celebrate Chinese New Year, or simply enjoy Chinese food, this is a must-have in your stash. 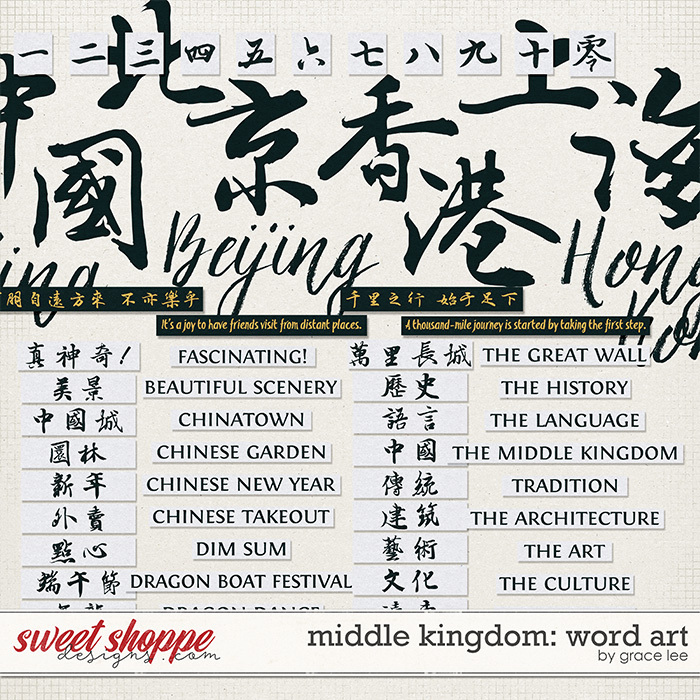 and 111 Chinese and English word strips and titles.